Finding love is an art, and these artists (and aspiring artists) discover that love, like art, requires more than talent! 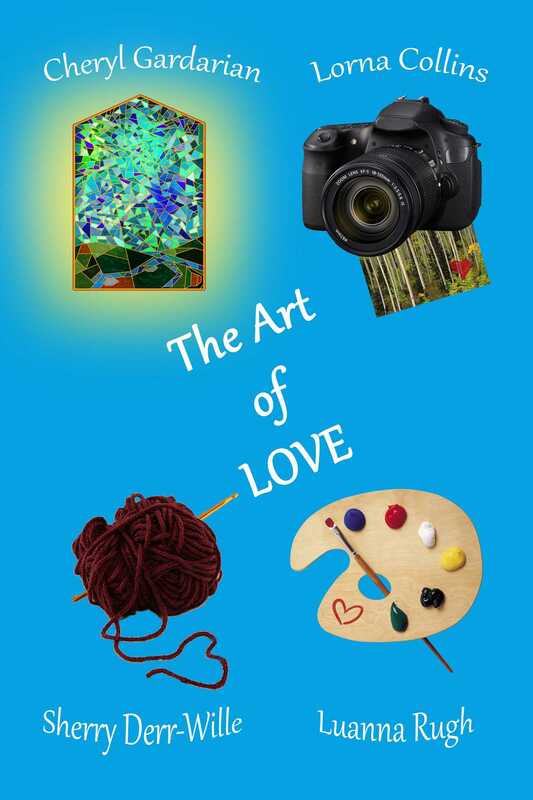 THE CHAPEL OF LOVE by Cheryl Gardarian: Moving to Colorado changes Darcy Oma Green's life. Saddled with D.O.G. for initials, she never expects to fall in love, but magic happens in Aspen Grove. A SHOT AT LOVE by Lorna Collins: Gulietta Boller Amalfitano wants her own identity. So she leaves home for Aspen Grove, Colorado where she discovers her heart's desire through photographer, Jeff Stone. LADY JANE'S CROCHET by Sherry Derr-Wille: Jayne Connor's love of crochet brings her to Baker's Secret Hideaway, where she falls for Keith Baker. But when his attitude suddenly changes, she's bewildered and gives up all thoughts of love. AN AFFAIR OF THE ART by Luanna Rugh: When Rayne McAllister is talked into taking a beginning watercolor class, she is confronted with the guy who was her worst date ever! And he's the teacher. Could this ever lead to love? Rayne doesn't think so.